By some estimates, smart utility meters are the most widely deployed commercial IoT application around the world today. But smart meters still have a long road ahead of them before they’re ubiquitous. A myriad of technical challenges —from battery power to data storage — persist as well as ongoing concerns about the difficulty in making the total cost of ownership case. Despite the hurdles, there’s no question smart meters have the potential to expand the role of utility companies in the “smart everywhere” movement and their ability to offer new kinds of services to consumers. Done right, smart meters will be a critical backbone in smart cities and counties. Data shows smart meter deployments lead to a nearly immediate 10 percent decrease in utility usage, but they can also allow customers better control over energy bills, improved communication during outages, and even home monitoring services. Smart meters can be a win-win for utility companies and consumers, according to Olivier Amiot, director of marketing for energy IoT solutions at Sierra Wireless, because they can bring them closer together around shared goals. “With more smart meters rolling out across territories and digital transformation that enables integration of more renewable energy sources at a large scale, customers can take part in a greener world transformation by using the dynamic energy pricing — that is, pricing that responds to the supply and demand of energy,” Amiot said. To understand that puzzle, it helps to know where smart meters began. In the United States, a post-2008 stimulus project 10 years ago helped jump-start the movement and today 80 million smart meters are installed, according to Adam Cooper, senior director of research and strategy with the Edison Foundation Institute for Electric Innovation. Although that number represents between 140 million and 150 million customers, coverage is still very sporadic with smart meters being very prevalent in some states and nearly absent in others. That disparity has created “two very different worlds,” Cooper said. Those wide variations are also true across the globe. IHS Markit said close to 700 million smart meters are installed worldwide (as of the end of 2018) and national rollouts in countries including China, Benelux, France, Italy and the UK will peak in the near term. 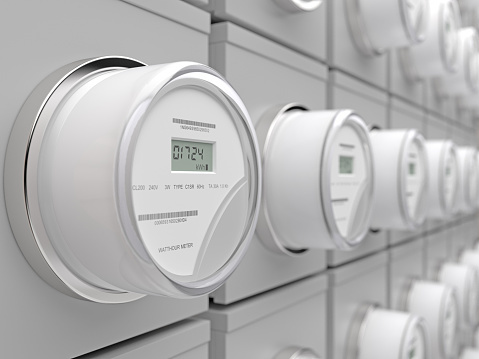 Overall, smart meters will make up nearly 60 percent of the European market this year, and close to 50 percent of the Asia Pacific region, according to Navigant Research. The worldwide penetration of smart meters in 2019 should be close to 50 percent, Navigant predicted.